If he is known as Bob’s big brother or as the “other” Toski brother, it’s not necessarily a bad thing. Tom Toski of Northampton shows no signs of slowing down as he nears the half-century mark as a golf professional. Toski is one of four Toski brothers of Haydenville. 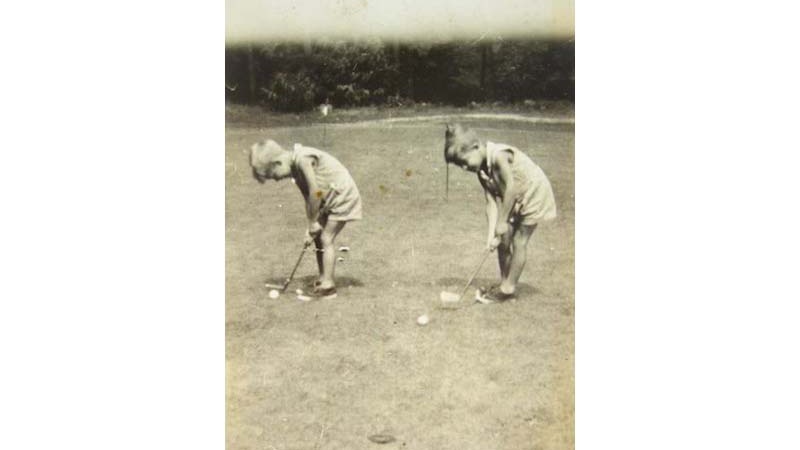 He was a younger sibling to late Jack and Ben Toski, and an older brother to Bob, who was a five-time PGA Tour event winner and a World Golf Teachers Hall inductee. Tom Toski will return in coming days to Western Mass. 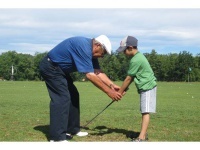 Family Golf in Hadley, where he has been a teaching professional for the last eleven seasons. 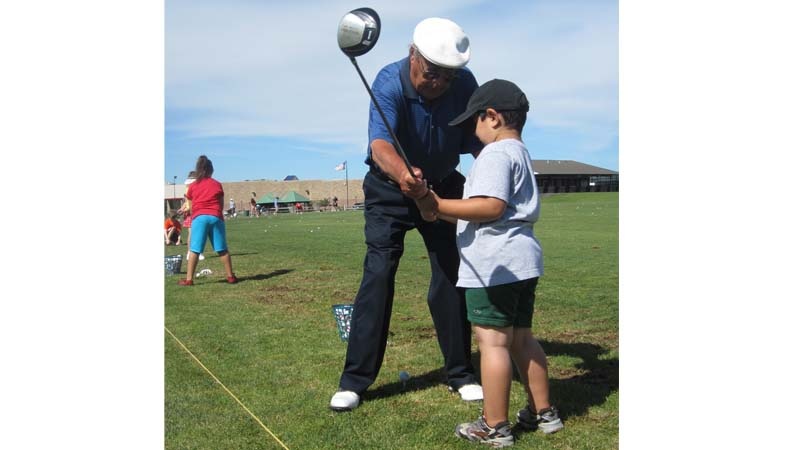 “I just love it… I love helping people learn to play golf. They should enjoy the game,” Toski said. “I’ll be back there six days a week, eight hours a day. 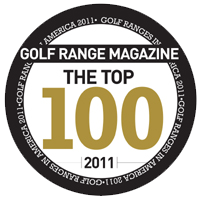 Toski has been a member of the PGA of America for 50 years. He grew up at Northampton Country Club and started in the business there working two years as and assistant under brother Jack. From there, he was hired as head pro at Wahconah CC in Dalton. “I’m very proud of where we took that golf course, from nine holes to 18… from no clubhouse to a clubhouse,” Toski said. He moved on 11 years later to become the first head professional at Hickory Ridge CC in Amherst, where he stayed until 1984. 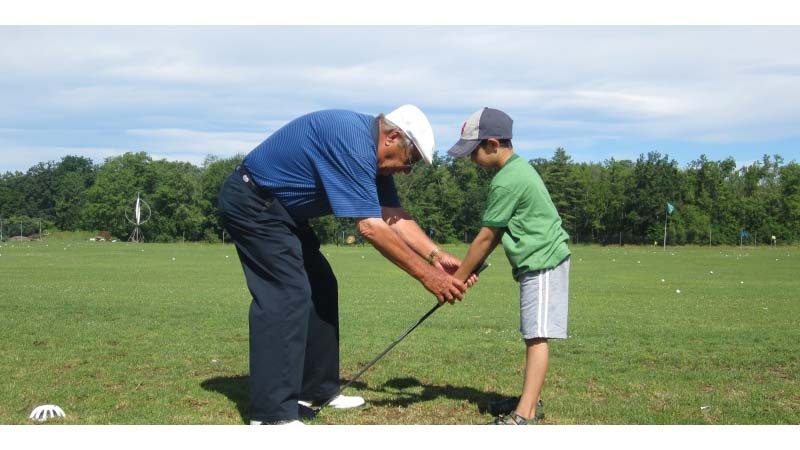 His travels took him to Stratton (Vt.) Mountain Golf School for six years and then three seasons at Waubeeka Golf Links in Williamstown. “I’ve met so many great people… how else was someone like me going to have the chance to play golf with someone like George Schultz, the former Secretary of State,” Toski said. “I’ve has so many opportunities to play golf with people like that. It has been 32 years since Toski was the guest of honor at the Western Mass. Tee Party, an honor he still considers one of his most cherished. “I have always been so proud of that, to be considered by people to be one of the top pros in Western Mass.,” Toski said. Toski said that on a good week he’ll be able to sneak in a couple of nine-hole rounds, but time is short. He once held hope of a playing career, but teaching ultimately became his passion. 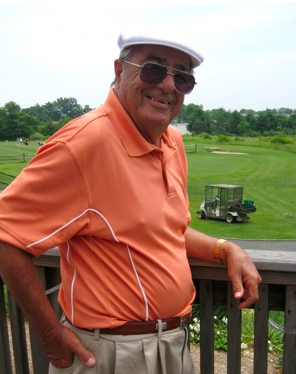 Toski said that highlights of his playing career included success at local PGA section events, a runner-up finish at the Utica open and a 30 he shot on the front nine at Wahconah. “I shot a 30 and could have kept going for the course record, but I stopped to teach a lesson,” Toski said. “Tom was a very good athlete, played basketball, baseball,” Bob Toski said. “He had very good hand-eye coordination. Tom Toski recalls one trip south that helped turn his fortunes from playing to teaching. 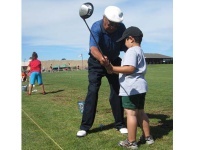 Bob Toski went on to win five times including the 1954 World Golf Championships. 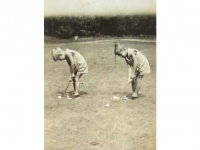 The family’s name was once Algustoski, before Bob Toski officially shortened it to “Toski” to alleviate mispronunciation while on tour during the early 1950s. Tom Toski said he was most proud of a collegiate tournament he founded with South Hadley’s Fan Gaudette, then a coach at the University of Massachusetts. “We had the Toski Intercollegiate Invitational at Hickory Ridge, we had it for 26 or 27 years and we had guys like PGA Tour players Jerry Kelly, Tim Petrovic and Jim Hallet win it,” Tom Toski said. “I spent two years in the South Pacific, we took on a couple of kamikazes… we saw a lot of action,” said Toski who also returned for two years of service on the U.S.S. Ellison (DDE-864) during the Korean War early in the 1950s. “We were part of the invasion of Okinawa… and we were 500 miles off the coast of Japan when they dropped the first (atomic) bomb,” he said. Toski was married to wife Lucille for 53 years, before she passed away in March 2005. His one son, Tom Jr. also passed away in May 2009.